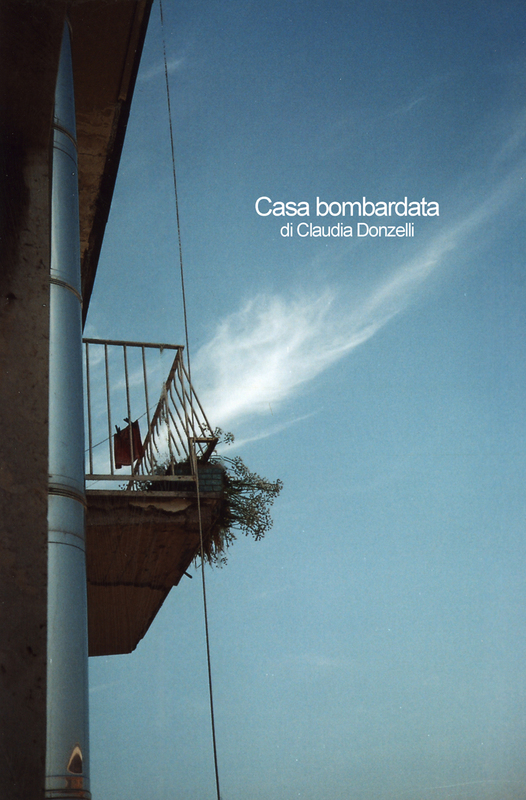 “Bombed House” explores the actual conditions of life of young generations in Italy, due to the economic crisis and the lack of opportunities, how this affects everyday life, and its aftermaths. 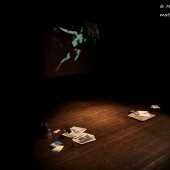 A feasibility study for its performance is under way with different groups and theatres. 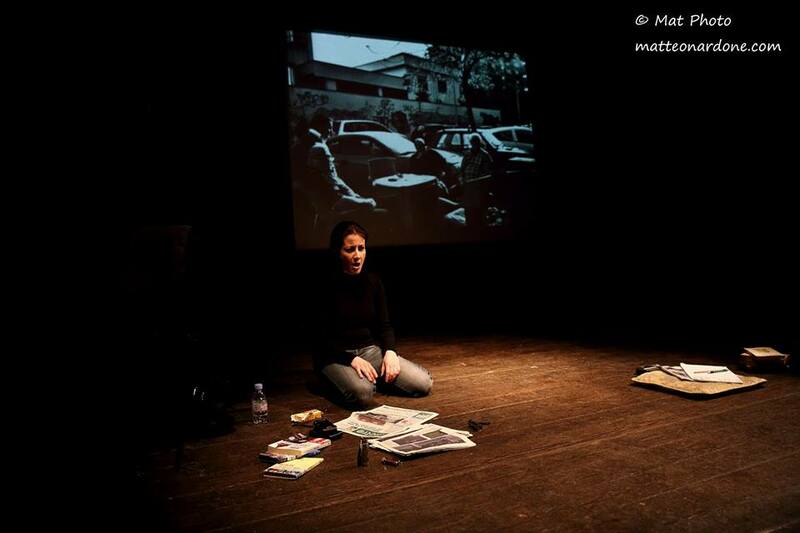 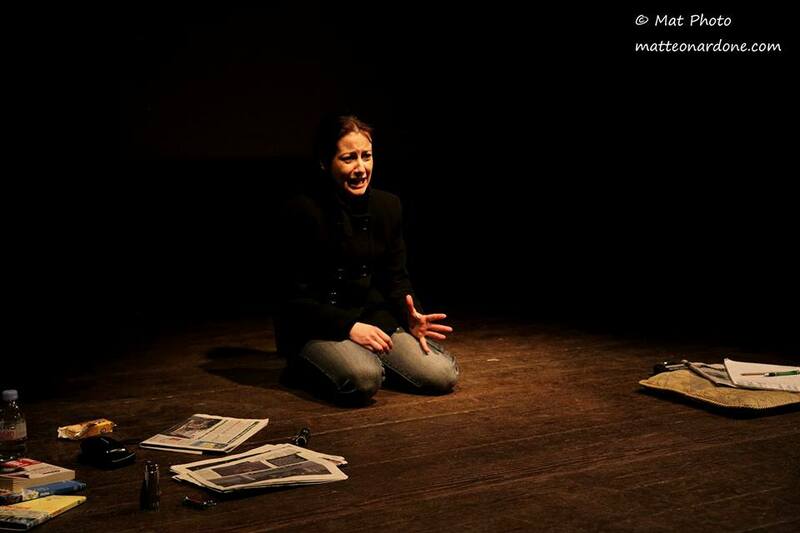 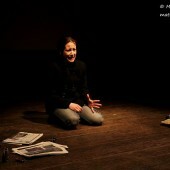 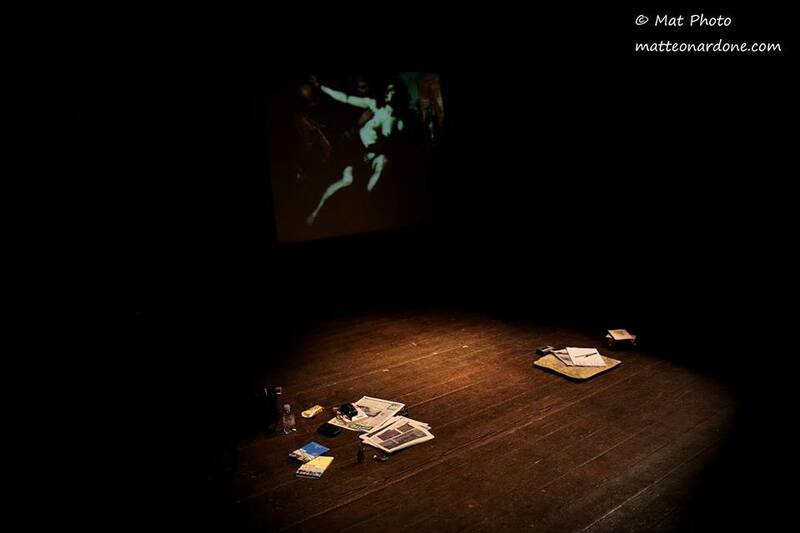 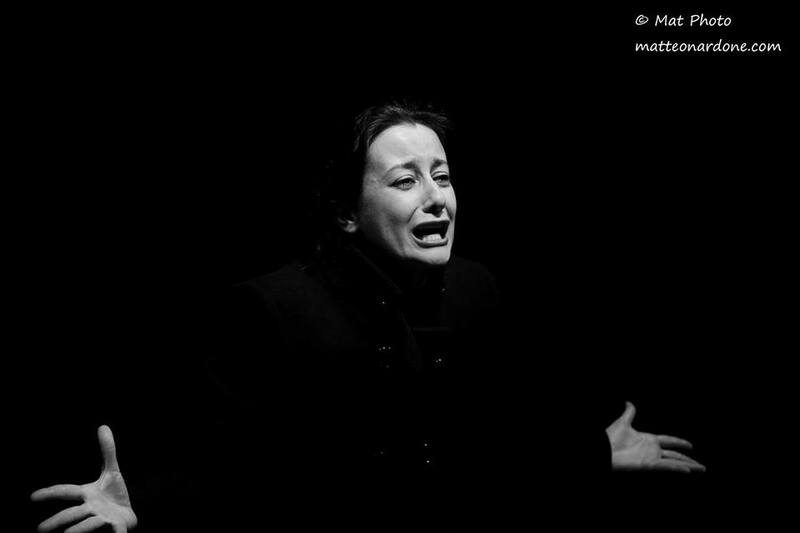 and it premiered at the Festival Inventaria about contemporary dramaturgy at the Teatro dell’Orologio, Rome, on the 14th of May 2014, directed and performed by Claudia Donzelli (cf. 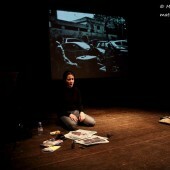 photos). 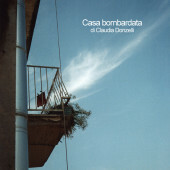 “”Casa bombardata” deals with the living conditions of persons of my generation, “the betrayed generation”, due to the economic and social situation in our country, persons who constantly live in an emergency situation, as if we were in some war, where it doesn’t seem likely to hypothesize and build a future: forced cohabitation, precariousness, regression to lifestyles of our ancestors for lack of means, and the effects of this situation prolonged in time on the psyche, like a war trauma, the idea of danger impending over the most intimate certainties, which should be inviolable, because on them is based the dignity of our life. 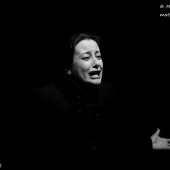 And also, to what extent the accumulation of frustrations can generate feelings of intolerance towards other people.